Luigi is such a great character and I think it’s about time for him to take the spotlight. 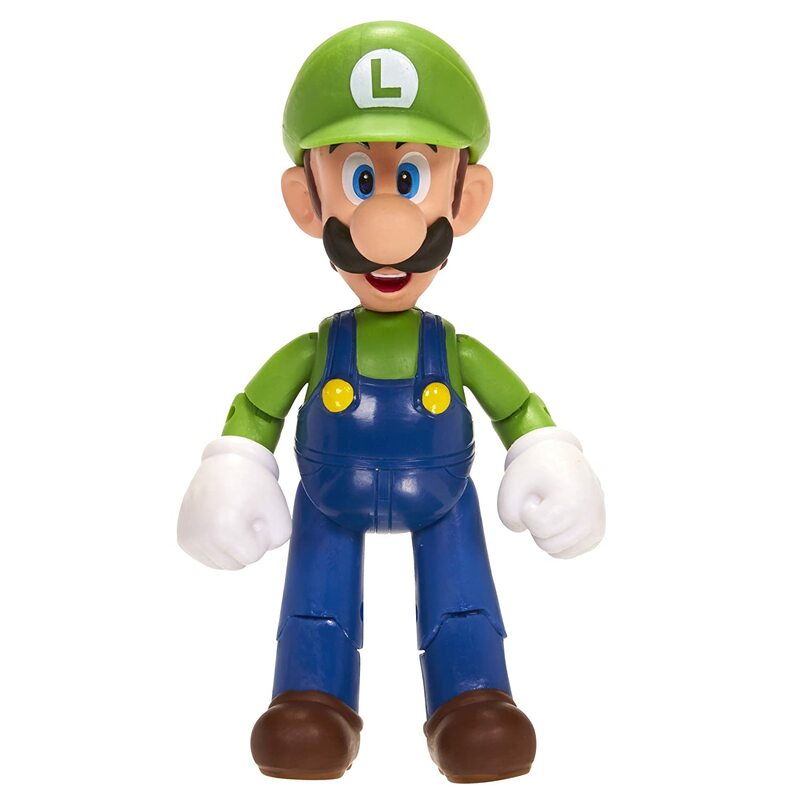 This is a terrific list of the best Luigi action figures, toys, and plushies. But, there are a lot of great Mario figures too. Luigi has been a part of many video games over the years but, one that really stands out to me is Luigi’s Mansion. 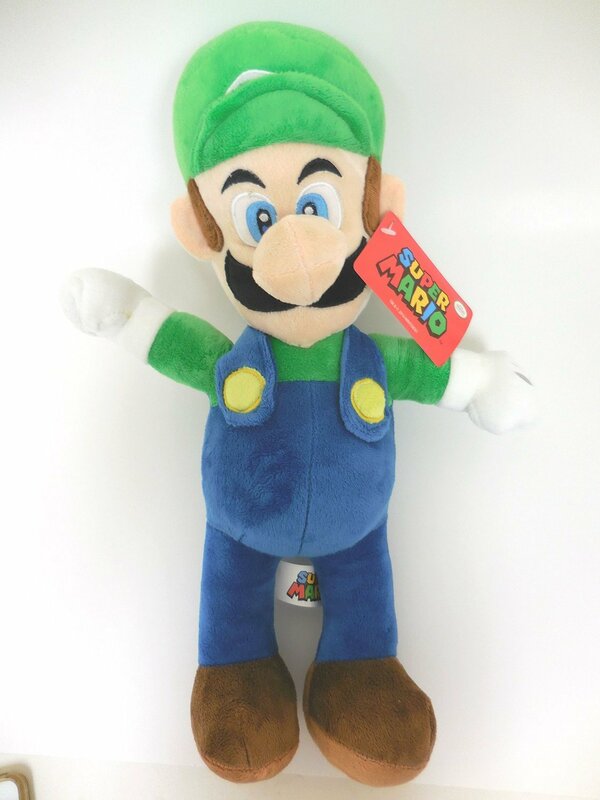 That’s why we’re gonna start off this list with some of the best Luigi’s Mansion plush toys. IN A HURRY? 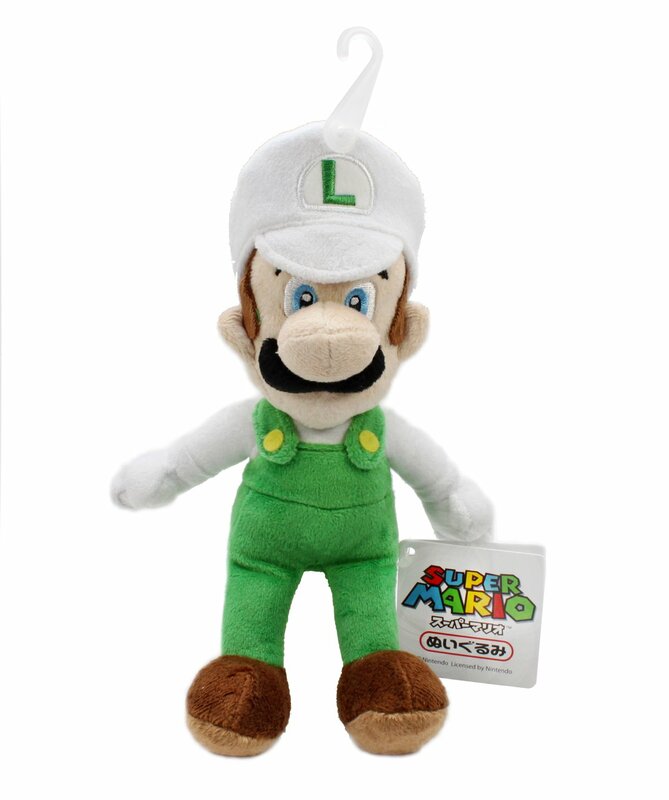 Check out all Luigi plush toys and all Luigi toy figures. Isn’t Luigi’s Mansion great? Finally, Luigi gets to be the hero. No more hiding in the shadows of his “big” brother the plumber. No, now he gets to be a custodian and clean a giant mansion with a vacuum. Oh boy! I’m just kidding. I love Luigi’s Mansion. And now Luigi is the hero. But, heroes still get scared too! 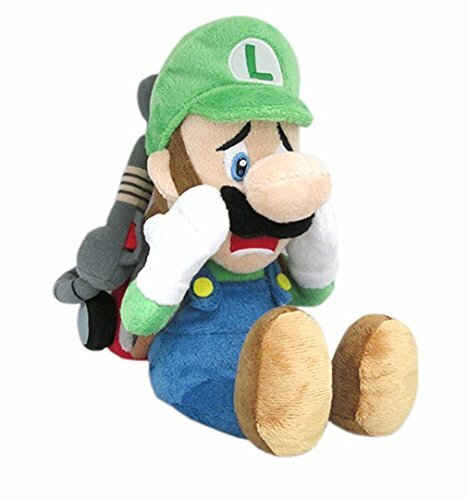 That’s why one of these plush toys is a Luigi struck by fear. And the other one? He’s doing just fine. But, scared as Luigi may be, he still has the courage to get in there and vacuum up some ghosts. So, as you can see, there are two different Luigi’s Mansion plush toys here. One has the classic scared Luigi face and the other is a happy Luigi. They are both wielding the legendary Poltergust 5000. Because, you know, poltergeist and gust for a vacuum. Oh Nintendo, you and your jokes. These two plushies are all ready to go and capture some ghosts. Both of these plushies are the cutest. There is a lot of detail on the vacuums as far as plush toys go. 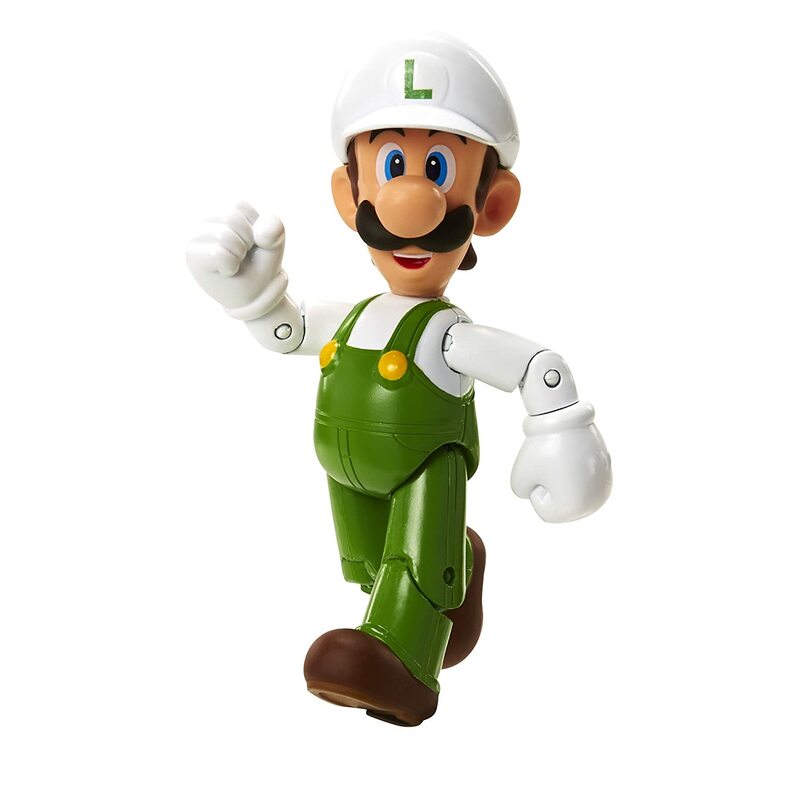 I think Luigi is portrayed very well in both toys because they are so well made. Both are about 10 inches tall and they are quite durable because of their nice material. Unfortunately, the vacuum does not detach from Luigi. This is good! It’s a big part of this Luigi. You wouldn’t want to lose his only defense against spooky ghosts now would you? If you really want to you can cut it off of him but, I wouldn’t recommend that. He looks great. 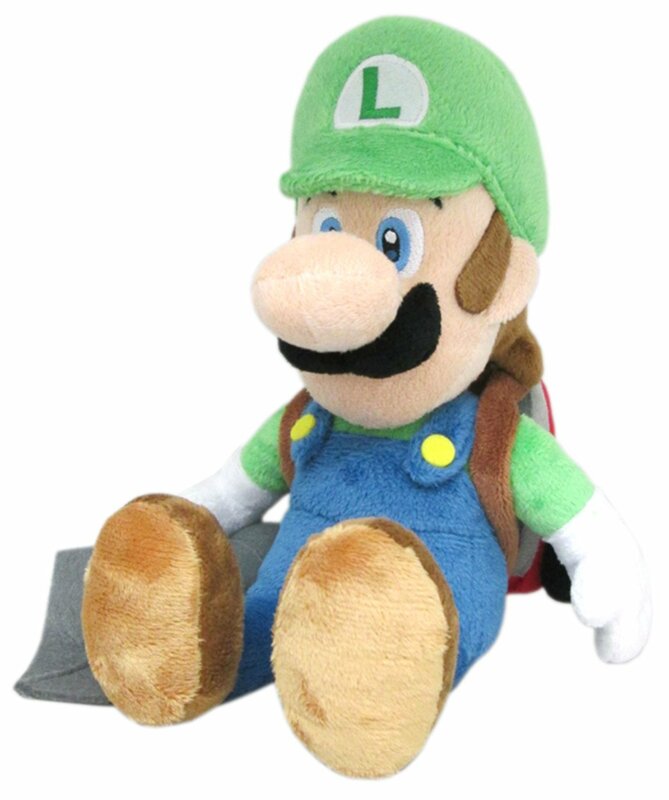 If you prefer a Luigi without the vacuum there are plenty of plush toys down below that are wonderful. Polterpups are little ghost puppies and they’re super cute. It’s a combination of a poltergeist or ghost and a puppy. When they aren’t out causing mischief, they are especially cute. He reminds me of Zero from A Nightmare Before Christmas. I just want to run up to him and say “WHO’S A GOOD BOY?” It’s an officially licensed product and it’s made of quality material. The tongue is very silly looking but, still super cute. It’s long and flops around. It’s a sturdy toy. Polterpup is about seven inches tall so it’s a decent size. All around I think this toy is fantastic. It serves well as a companion for a Luigi’s Mansion plush toy. The Luigi’s Mansion figure by Medicom is my absolute favorite. There’s a CRAZY amount of detail on this little guy. Yeah, he is about 2.5 inches tall. But, I think that is just a fine size for this figure. Very impressive that they could sculpt him this well at such a small scale. He has his main defense against the ghosts, the Poltergust 5000, strapped to his back. Thus, you can tell he’s from Luigi’s Mansion 2 Dark Moon. His vacuum has a different finish on it. It’s a little bit shiny. It looks wonderful! The vacuum is nicely finished with plenty of details. The buttons are shown clearly and pop out a bit. The vacuum tube is especially nice. 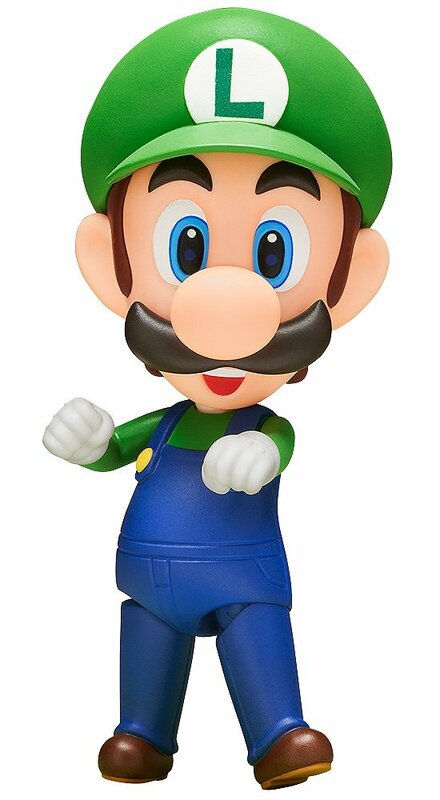 It’s actually the best I’ve seen on a Luigi figure. I think it’s pretty funny that the vacuum tube is something I praise on a figure but, most of the ones I’ve seen aren’t very good. This one is exquisite. 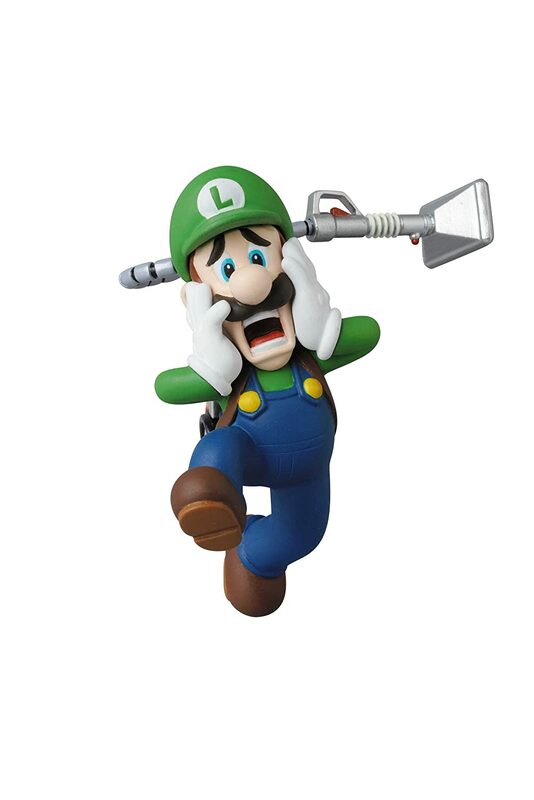 Luigi threw his vacuum up into the air and jumped with fear. No doubt from something especially spooky! Despite the fact that he is so fearful. He still carries on with capturing ghosts. Luigi is quite the hero in my opinion. Just like link, he’s full of courage, sometimes. The paint is spectacularly done and Luigi comes with his own stand. It’s a black stand with the Luigi’s Mansion 2 logo on it. It gives this figure a special presentation. In conclusion, I think this is a terrific Luigi Mansion toy. Definitely one of my favorites of Luigi. He’s at a fantastic price too! This is quite the Luigi Mansion figure. 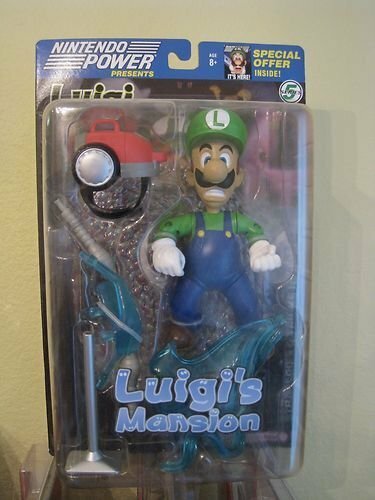 He is one of the rarest Luigi Mansion toys. It is just like an action figure with moveable parts. Even so, this figure is specifically meant to be in one position like a statue. But, he can turn his head and move his arms. You can detach his vacuum and the vacuum tube. He also comes with a spooky ghost that is a clear blue color. An interesting effect for such a specter. He sits on a stand that is made to look like a rug from the game. It has some nice details on it as well. 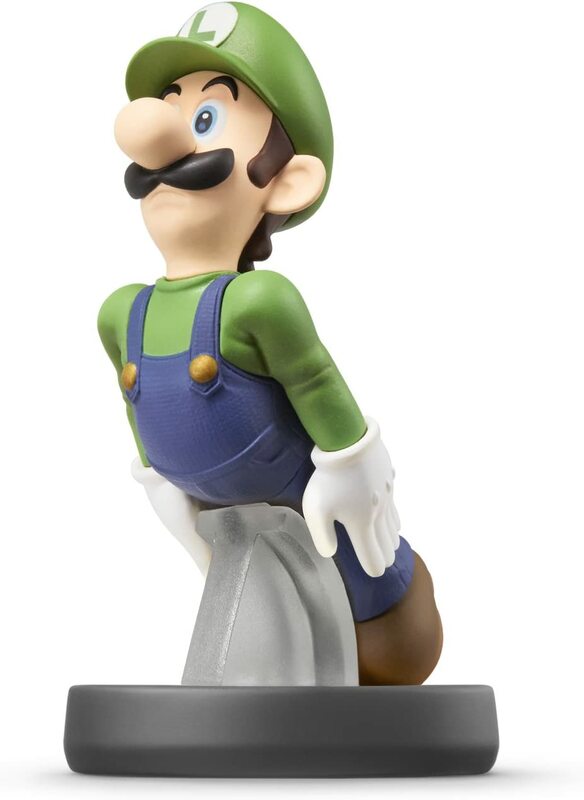 Luigi’s feet have holes in the bottom so you can place him on the stand. Although, he can stand up on his own. I know it’s a common theme but, Luigi is looking especially frightened here too. These Luigi’s Mansion figures are also very rare! Really difficult to find. These are more like display figures than action figure toys too. Luigi actually looks confident here. As cool as a cucumber some might say. Toad is the one that is very scared here and who wouldn’t be with King Boo lurking around. The king is menacing indeed. These are excellent figures. They do have holes on the bottom to fit them onto the purple bases. I was pretty surprised at how smooth the paint and everything looked on them. Really great quality. Luigi’s vacuum tube actually has some flexibility to it. You can bend it around a little bit. So it’s not fragile at all. Luigi doesn’t even need the base to stand up but, Toad definitely does. 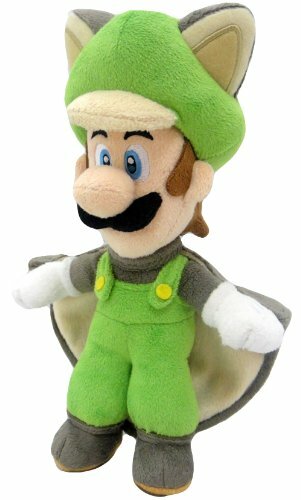 For Luigi plush toys there are plenty of great options. The two classic Luigi’s I’ve chosen as my favorites are indeed great quality plush toys. Sanei is actually the maker for most of these toys. They make really high quality Nintendo plushies. 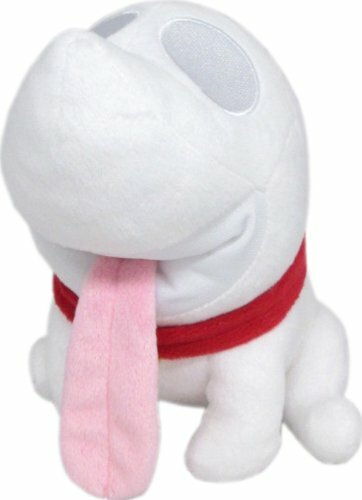 Sanei has the license for Nintendo plushies and I trust their quality. You know if it’s a Sanei toy it’s going to be well made and very soft! If you want to collect these they have a few more plush toys of Luigi here. 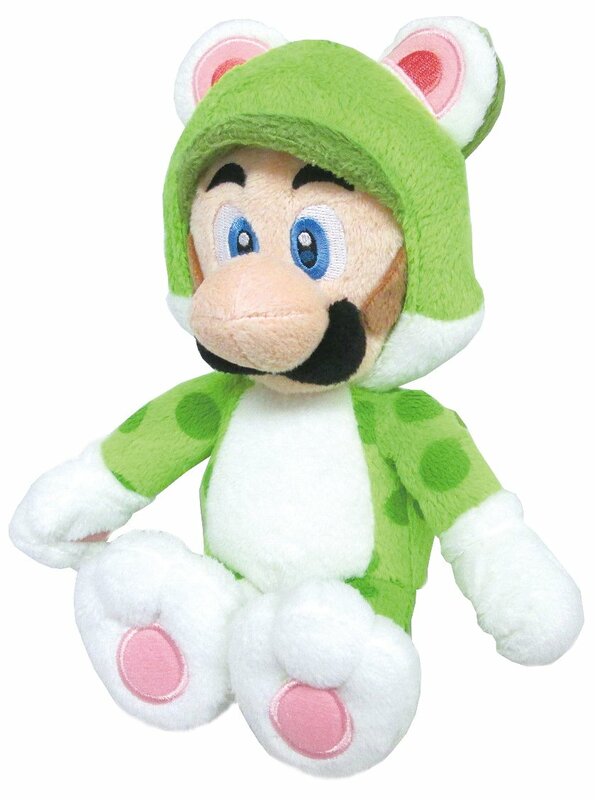 The 9″ Cat Luigi plush is really nice. I think it’s so cool that Nintendo can keep coming up with cute takes on our favorite characters. The Tanooki suits were always my favorite and now the cat ones are awesome too. As always you can put cat ears on just about any plush and it becomes really cute. This plush is very soft. Very nice plush toy. Who wouldn’t want a fire flower version of Luigi? This guy is awesome. As with all of the Sanei plushies, Luigi comes with the little hanger so you know it’s an official product. It helps with displaying Luigi too. It has a nice tag with it as well, you can see it in the picture to the left. 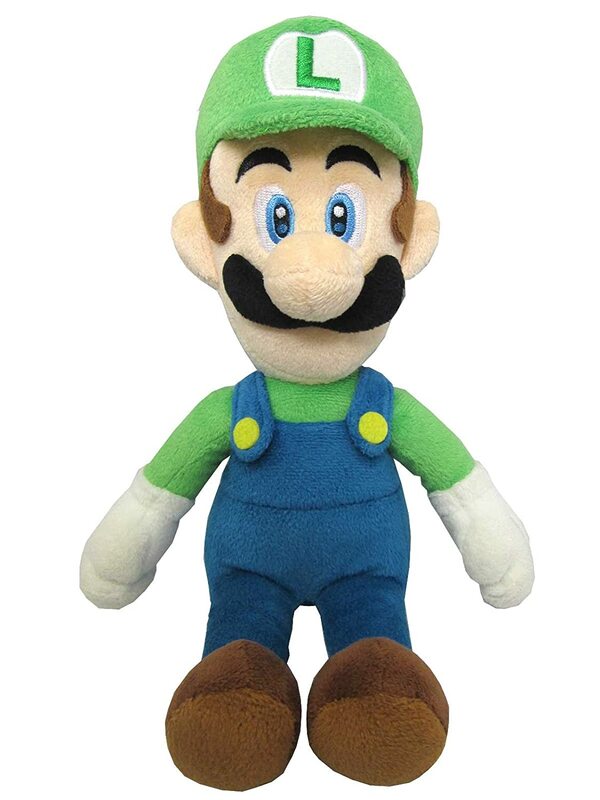 Sanei makes really nice plushies and this Luigi toy plush is no exception. Luigi is ready to heat things up and throw some fire balls! Luigi is looking cute in his flying squirrel costume. This is the form he takes with an acorn power up. He can fly over short distances or cling to walls. His pants also get a little puffier in this form and he gets a turtle neck. I really like the ears on the cap! This plush is very soft. It’s quite durable too. He is especially cute because of his squirrel tail on the back! 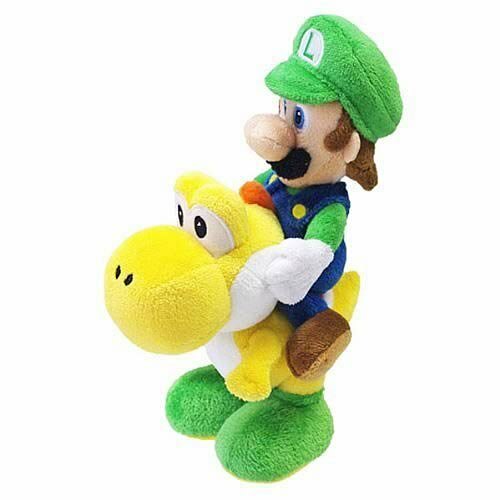 You can’t beat a Yoshi carrying Luigi on his back. Two wonderful characters here and they look great! This is a nice soft plush. Pretty firm so it doesn’t wiggle around too much. Luigi is stitched on to Yoshi so you can’t take him off. You shouldn’t separate these two best friends. It has a lot of attention to detail, especially for a plush. I love it. These are the two Luigi Amiibos. One from the Super Mario Brothers (SMB) series and the other from Super Smash Brothers. (SSB). Both look great with some nice details. Especially considering they are smaller in size. About 5 inches tall. The SMB Luigi has a great Nintendo character pose looking confident and happy. Definitely a far cry from the horros of Luigi’s Mansion. The SSB Luigi is using one of his signature moves in which he charges up and fires head first towards his enemies to do a great deal of damage. I am very happy with both of them but, I like the pose on the SMB Luigi best. This is the best place to find out where you can buy Amiibos. Now we can move onto some top quality Luigi figures. The two that I really like are the one from Bandai and the Nendoroid version of Luigi. We’ll start off with the Bandai toy. This Bandai Luigi is a true action figure. He has lots of joints so posing is very easy! Luigi here comes with a few accessories. One is the classic brick block that we’ve all seen from any Mario game. Another is a dreaded red shell. You Mario Kart fans know what I mean! He comes with a stand and another pair of hands too. You can switch out the hands so he can hold the shell instead of the closed fists. If you have the Bandai Mario figure you can also switch out the hands to Mario too! As I mentioned the posing for Luigi is really easy. Bandai did a great job with this figure. And the addition of a few accessories makes creating awesome scenes easy as pie. I highly recommend this guy as well as the Nendoroid figure I’m going to tell you about next. The Nendoroid figures always come with a ton of accessories. That’s one of my favorite things about them. Luigi comes with a warp pipe, a bullet bill, a goomba, and some dash clouds. He also comes with a few sets of pieces you can switch out like hands, faces, and legs. He also has a background and some stands to help you pose him and the enemies a bit better. I love the size of Luigi’s head on this Nendoroid figure. It makes him even more lovable. This Luigi is great for any fans collection. The World of Nintendo figures are great too. 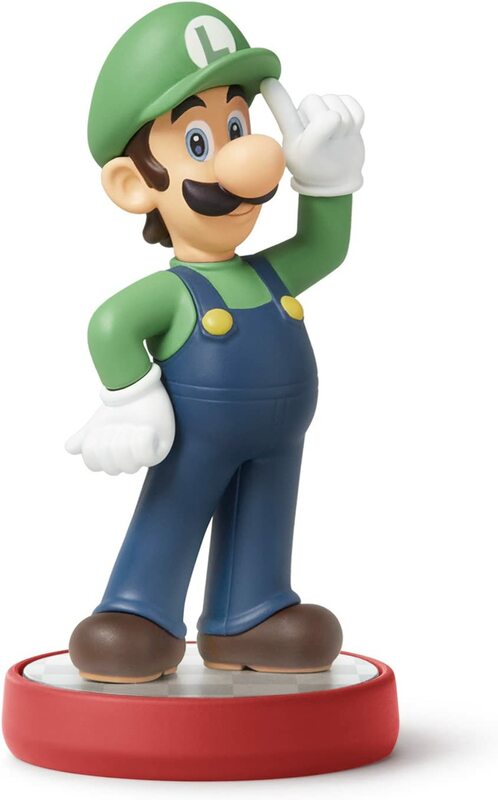 I really like World of Nintendo figures a lot and I especially like them for their Luigi variants. They have a fire flower Luigi which is difficult to come by otherwise. 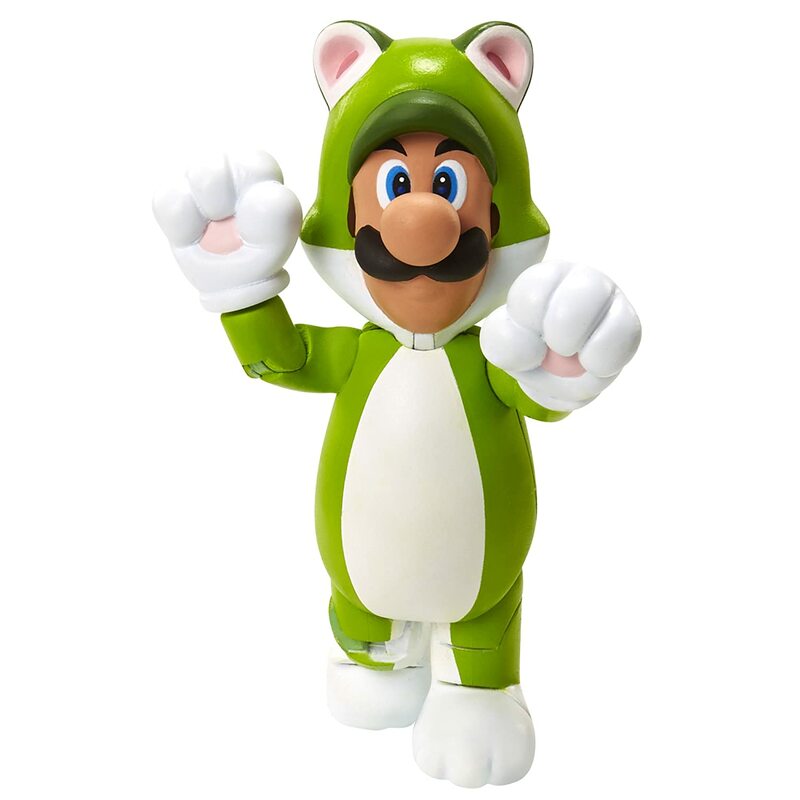 And they have a Cat Luigi which is super cute because of his paws, cat ears, and tail. Since they are good quality figures they are wonderful. They don’t quite have as much articulation as the Bandai Luigi figure I mentioned above but, they are still easily pose-able. There are plenty more great World of Nintendo figures here! This was my list of the top Luigi action figures and plush toys. I hope you liked it! All other images provided by Amazon.